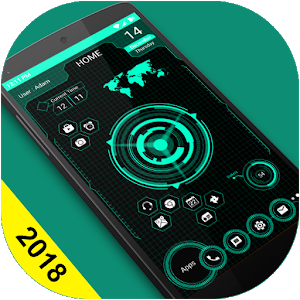 Futuristic Launcher 2018 – Hitech UI, Theme easy to use, stylish and offers higher performance. It stylized your phone’s home screen in future UI which gives a next generation launcher or virtual theme to your android phone. A new clean and perfect hitech user interface design which gives user to easy and better interactive control experience. It provides more wonderful and useful features and any color themes which enhance your phone with different styles.